Look as sharp as can be with the unrivaled beauty of the Kate Spade New York® Quilted Jacket. Stand-up collar with removable drawstring hood. Bow quilt pattern at front and back teamed with a vertical line pattern at sides. Custom woven Bookstripe interior lining with welt pocket at left. 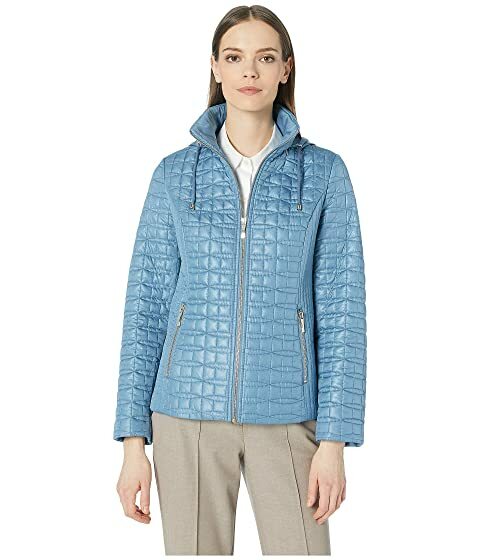 We can't currently find any similar items for the Quilted Jacket by Kate Spade New York. Sorry!